Oooooooh….slime! 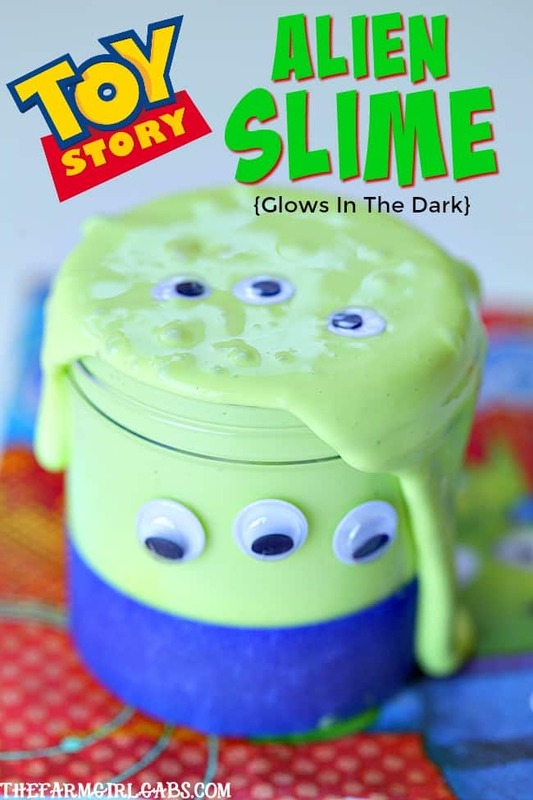 This Glow In The Dark Toy Story Alien Slime will be a hit with the kids and Andy’s toys. Have you heard that Toy Story Land is officially open at Walt Disney World? Oh, and we can’t forget about Pixar Pier in Disneyland. So much Pixar Pixie Dust going on throughout the Disney Parks. There has been so much buzz about it lately (see what I did there), that I cannot wait to visit. I think it will be pretty cool to visit Andy’s backyard and shrink down to the size of a toy. It’s been a few weeks since I have added to my collection of fun slime recipes. You can find all of my slime creations here. Let me tell you, slime is a popular thing. I never thought I would have so many visitors here on The Farm Girl Gabs searching for slime recipes. So with all the Toy Story Land Buzz (there I go again) going on, I created this fun Glow In The Dark Toy Story Alien Slime. Who doesn’t love those adorable little aliens? Pizza Planet’s famous men from outer space are getting their own slime recipe. Ooooooh….slime! It may not be the claw but this craft is perfect to make for your Toy Story themed party or as a fun craft to occupy the kids. Here are the supplies needed to make a batch of Glow In The Dark Toy Story Alien Slime. Slime creation is pretty simple – and fun – and gooey. Start by adding the glue to a bowl. 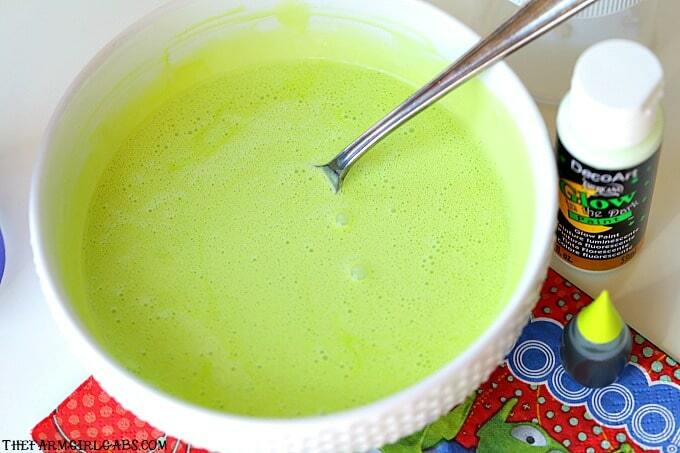 Mix in the glow in the dark paint followed by the neon lime green food coloring. Slowly pour in the starch a little at a time and mix well. Continue adding the liquid starch until the slime is goopy. To make the fun storage jars, wrap a piece of blue painters tape around the bottom. Then glue on three eyes in the center of the jar. 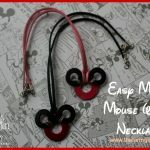 These make really fun party favors! To make the slime glow, you need a dark room (duh) and a black light . Hey howdy hey that’s cool! Ooooooh……fun! Save this Glow In The Dark Toy Story Alien Slime project for later by pinning to your favorite Pinterest Board. Click on the image below for the FULL collection of fun slime recipes here on The Farm Girl Gabs!